Dallas knee of the charge before the trade apparently. Yea, I read that later. Damn, was hoping my Knicks pulled a swifty on them. In the NCAA 3 #1s out in the sweet 16 and elite 8 rounds; Duke lost to the Spartans in the elite 8 (they missed a FT at the end to tie it up), the Zags lost yesterday and Auburn beat North Carolina (sweet 16) and just beat Kentucky; despite losing their best player to an ACL in the NC game. Sole remaining #1 is Virginia. Alanna Smith (Opals/22yo) is still in the NCAA finals with Stanford. Averaging around 19 pts, 9 rebounds and 2 assists per game. She is also expected to be picked inside the top 10 in the WNBA draft on April 10 in New York City. Man I love having so many Aussies doing well in the NBA and at college level. Blokes like Lindsay Gaze and the like can pat themselves on the back for creating something amazing. To give you an idea of how far we’ve come, my mum (who knows nothing about basketball) took over a small suburban basketball association in about 1990 because there was nobody else willing to be president. The association had one court and about 15-20 teams across the junior age groups. As part of the presidents role she had to go to a quarterly meeting of all the associations in Victoria where they introduced anything new from FIBA and talked about how they could grow basketball in the state. After her first meeting she gets home and tells us that she sat next to a lovely tall man named Lindsay who ran a large association in Albert Park and knew a lot about basketball. She said that he had a son that played basketball in the NBL. Our association never reached great heights because of the single court constraint but we still had one bloke go through there who played college ball in the states, another couple who played professionally internationally. Grassroots stuff like that is what makes sport so wonderful and it must be extraordinary for the pioneers of the sport in this country to see the fruits of their labour. Greek Freak takes over in Philly. 45/13/6 in just 33 mins as the Bucks seal the #1 seed in the East. Give him the MVP! 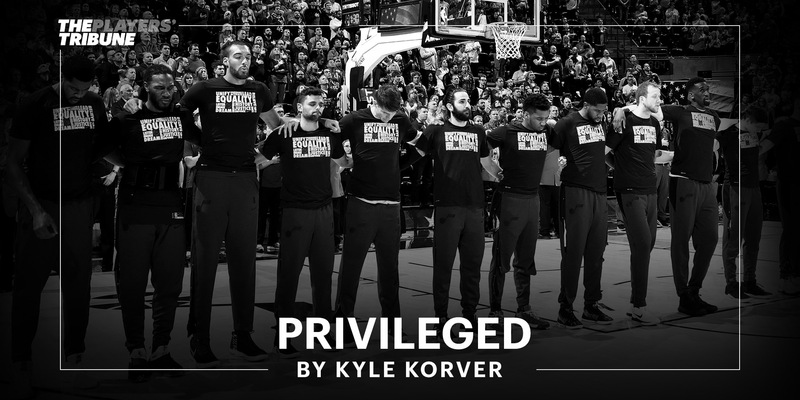 I read it twice and am blown away by the insightfulness and how self-aware Korver is. Curry injured in a ■■■■■■ meaningless game. Magic Johnson steps down as President of Basketball Operations at the Lakers. Announced in an impromptu press conference, hasn’t even told Jeanie Buss. WOW!